Made from some awesomely cool mod prints. It's always a treat to find good boy fabrics. The pattern is a simple disappearing nine patch with each cut block separated by white sashing. 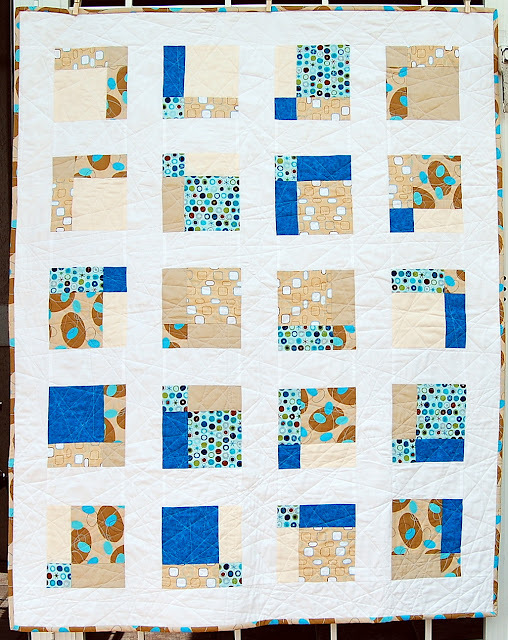 The quilt is quilted with lots of white lines, some going all the way across the quilt, some stopping and turning midway. 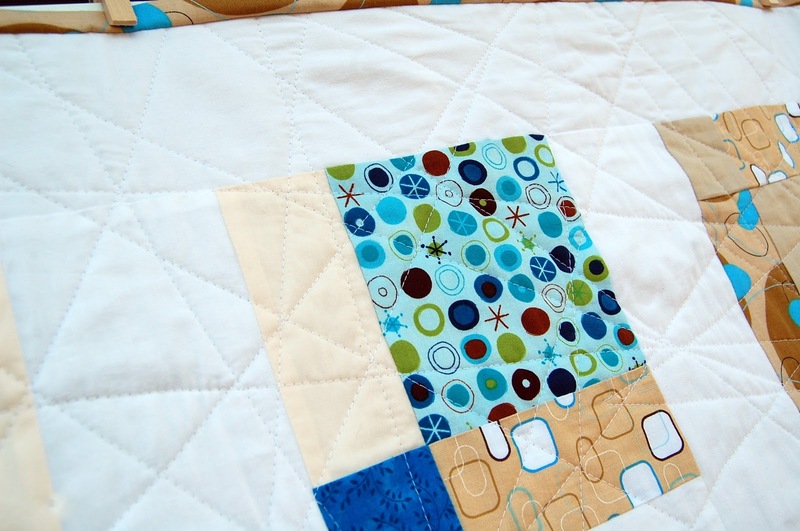 While I thought that would be a really nice and simple way to do the quilting it actually took a long time, as I had to keep adding more lines to ensure enough quilting everywhere. A fun bonus, though, is that there are random five and six point stars that show up here and there - they are a lot of fun to look for and find. 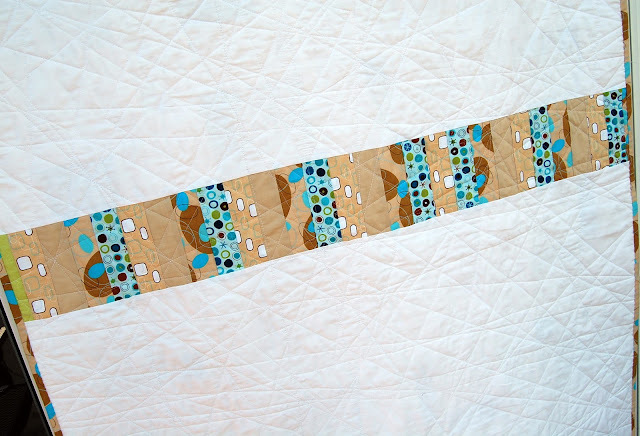 The backing is solid white with a strip of various fabrics from the front. See the little bitty piece of lime green in the bottom photo? I added that to see what my oldest son would say. It matches - the same green appears in the Amy Schimler polka dot print - but Ian likes things "just so" and adding a fabric that isn't "just so" bothers him a little bit ... not in a bad way, he just has to point it out. Which he did, and then he laughed when I told him why it was there. 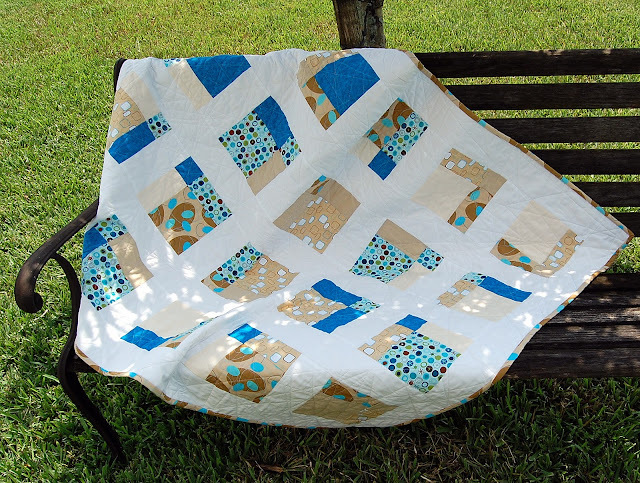 A lot of the quilts I make are out of his comfort zone, if it were up to him they'd all be solid colors in straight, perfectly even, logical rows (can you tell he's a computer and math guy? ), but more often than not he's surprised and pleased in the end. So, anyway, that green bit is an ode to Ian. The white I used is a super soft new sheet from Target. 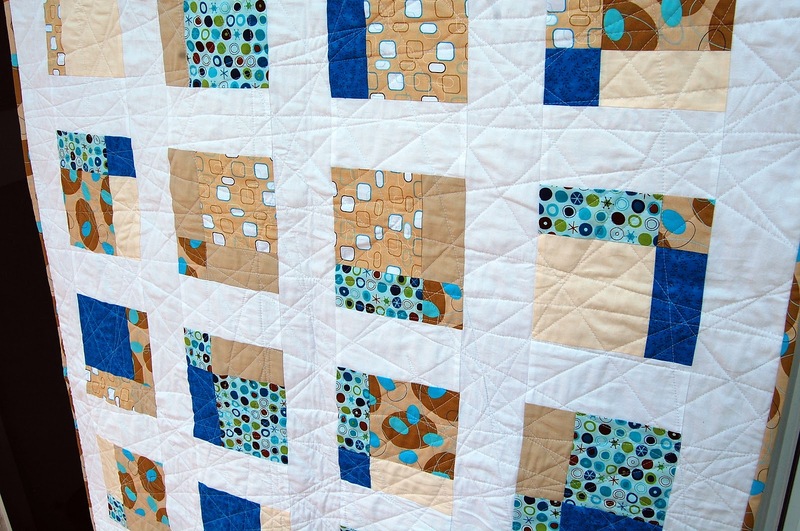 I am so in love with the feel of it and it was much easier to work with than many sheets I've used previously.